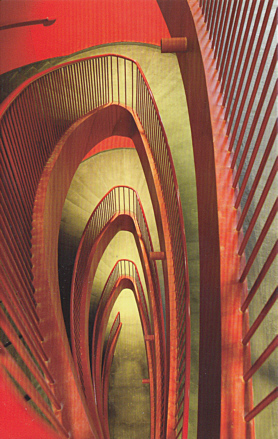 Built 2001-2007 by Paul Andreu. 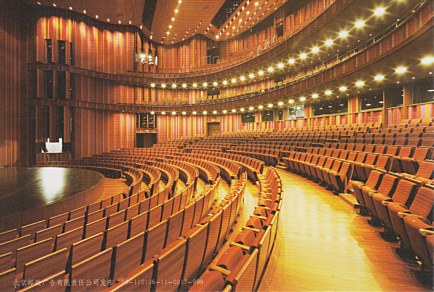 Opened Dec 2007 with a concert. 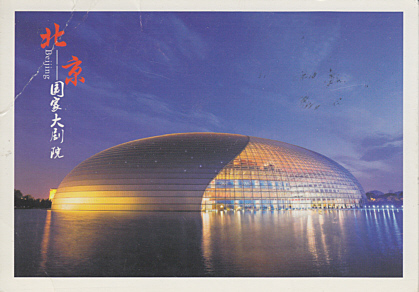 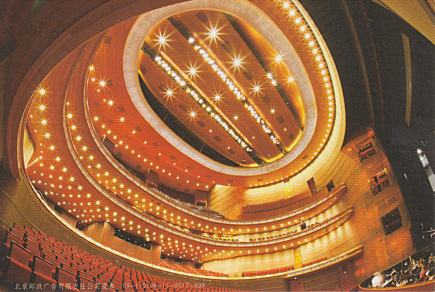 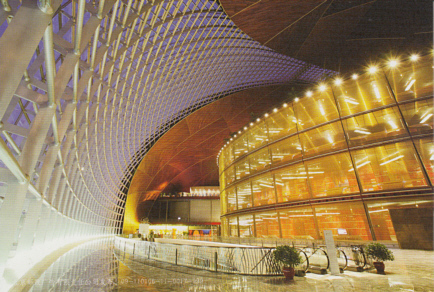 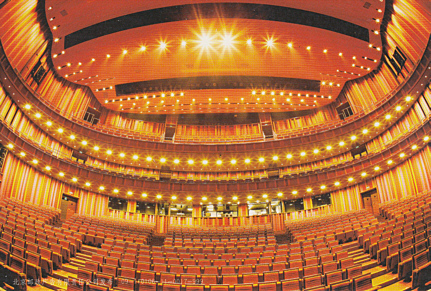 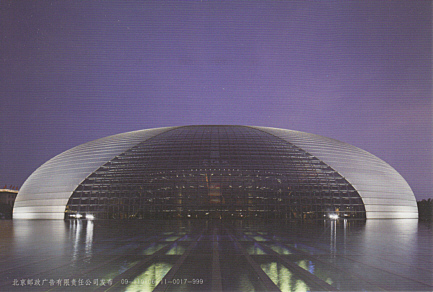 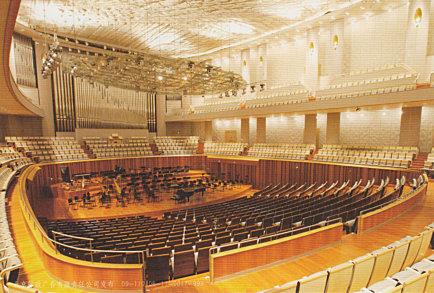 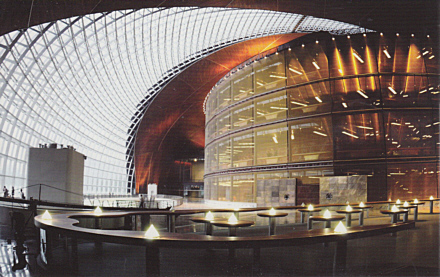 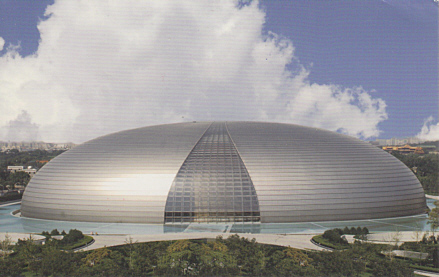 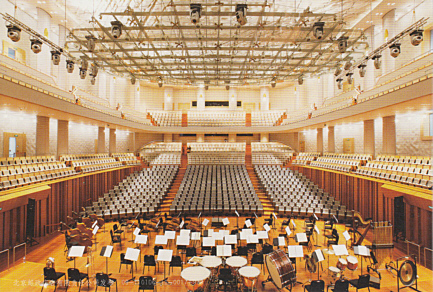 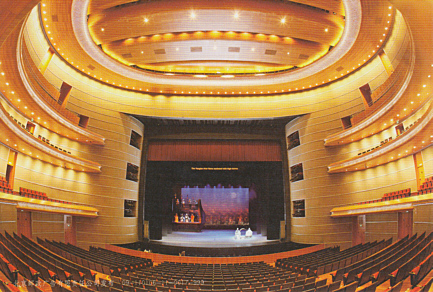 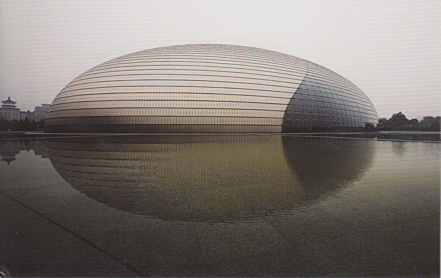 The complex contains several halls: "Opera House" (with 2416 seats), "Concert Hall" (with 2017 seats), "Theatre Hall" (used for drama and Beijing opera performances, 1040 seats), and a further multi-functional theatre hall. 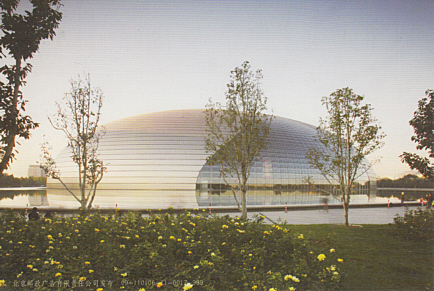 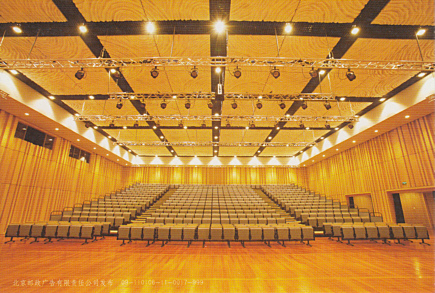 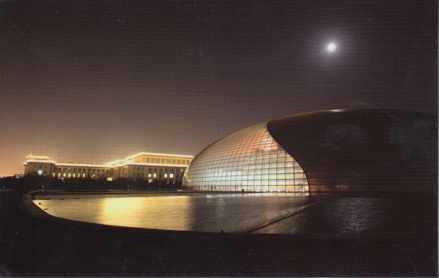 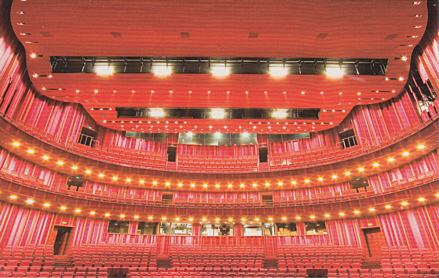 Reverse Text: "The National Centre for the Performing Arts is located on Chan'an Avenua. 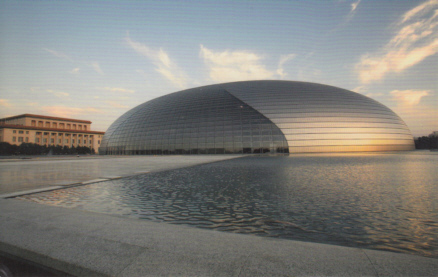 With its titanium shell mirroring the changing color of the sky, the centre looks like a colorful stage whose curtain is opening up. 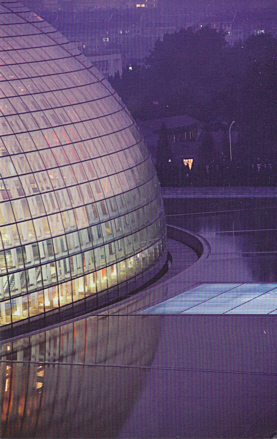 Surrounded by traditional Chinese buildings built of vermillion walls and glazing tiled roofs, the Centre gracefully stands out as a piece of classic modern architecture." 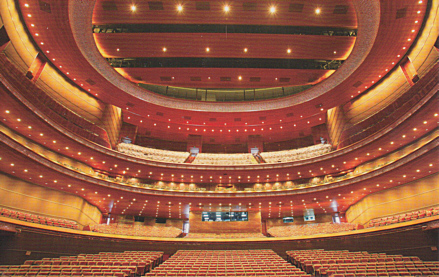 Reverse Text: "Panorama of NCPA"
Reverse Text: "The National Centre for the Performing Arts is located on Chan'an Avenua. 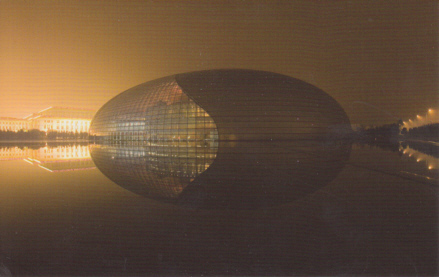 [...]"
Reverse Text: "Opera House - NCPA"
Reverse Text: "Concert Hall - NCPA"
Reverse Text: "Theatre - NCPA"
Reverse Text: "Multi-functional Theatre - NCPA"
Reverse Text: "The Fifth Space - NCPA"